New Divetech Aqua Sports Swimming Pool Diving Splash Top Delta Snorkel One Size. 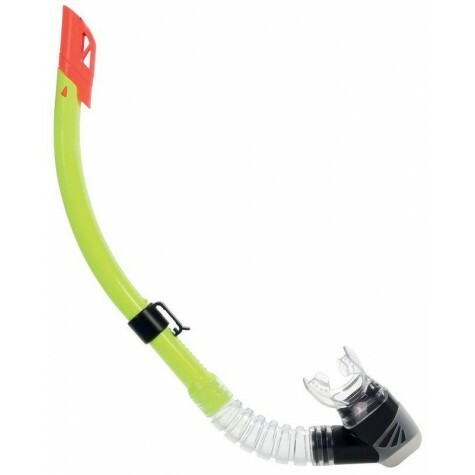 Divetech Delta Snorkel - Black - Yellow. Splash top to help reduce water entering and a silicone purge valve to easily blow out any water that does. Finished with silicone mouthpiece and adjustable mask holder.